Arthur A. Levine Books, 9780545221313, 368pp. 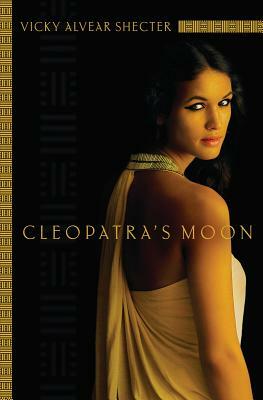 The extraordinary story of Cleopatra's only daughter -- now in paperback! Cleopatra Selene is the only daughter of the brilliant Queen Cleopatra of Egypt and General Marcus Antonius of Rome. She's grown up with jewels on her arms, servants at her feet, and all the pleasures of a palace at her command, and she wants only to follow in her mother's footsteps and become a great and powerful queen. Then the Roman ruler Octavianus, who has always wanted Egypt's wealth, launches a war that destroys all Selene has ever known. Taken to live in Octavianus's palace in Rome, she vows to defeat him and reclaim her kingdom at all costs. Yet even as she gathers support for her return, Selene finds herself torn between two young men and two different paths to power. Will love distract her from her goal-or help her achieve her true destiny? Epic in scope and ravishing in detail, this novel reveals the incredible life of a girl long hidden in history: the remarkable Cleopatra Selene. Vicky Alvear Shecter is the author of two nonfiction books about the ancient world: ALEXANDER THE GREAT ROCKS THE WORLD, a VOYA Honor Pick for Nonfiction, and CLEOPATRA RULES!. A docent in the Ancient History department of the Carlos Museum of Art, she lives in Avondale Estates, Georgia.